Madness! Mayhem! On August 23rd, Kids vs Monsters comes crashing out on DVD! Enjoy the chaos in the safety of your living room as spoiled brats collide with wild monsters under the watchful eye of Malcolm McDowell and Lance Henriksen. Six kids are sent to a mysterious house by the wealthy parents who want get rid of them. Here, they are pitted against a group of monsters looking to prove themselves to a shadowy entity called The Boss. 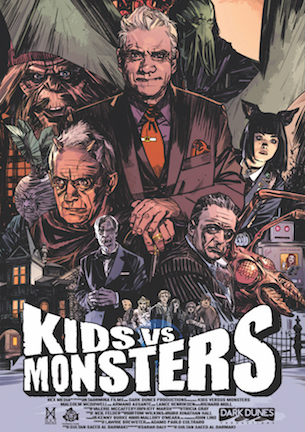 BUY KIDS VS MONSTERS ON DVD ON 8/23.